Most people know LJN because of the pile of rather dubious games they released for the NES (some, imortalized in reviews by the Angry Video Game Nerd). This weekend, I discovered they made a console too. I found one at a Goodwill for fairly cheap with three cartridges included. It wasn't working quite right when I got it, necessitating taking it apart to figure out the issue. Turned out it had carbon dot buttons, much like the Atari 5200. Some aluminum foil later and it works fine again... such as it is. The LJN Video Art is a "edutainment" product released by LJN in 1987. 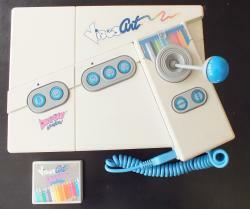 Consisting of a console using interchangeable cartridges and a single specialized joystick, it can not exactly be classified as a game console, since its functionality is that of an electronic coloring book. Cartridges contain uncolored line art images that are displayed on the television screen. 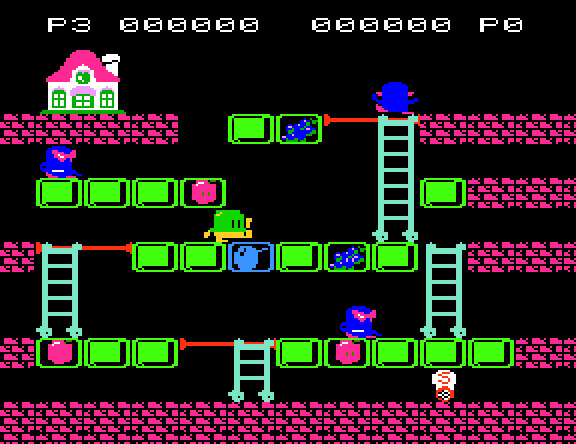 The "player" then uses the specialized controller to move a cursor on the the screen to color in the images. Colors may be chosen using a slider on the top end of the controller. 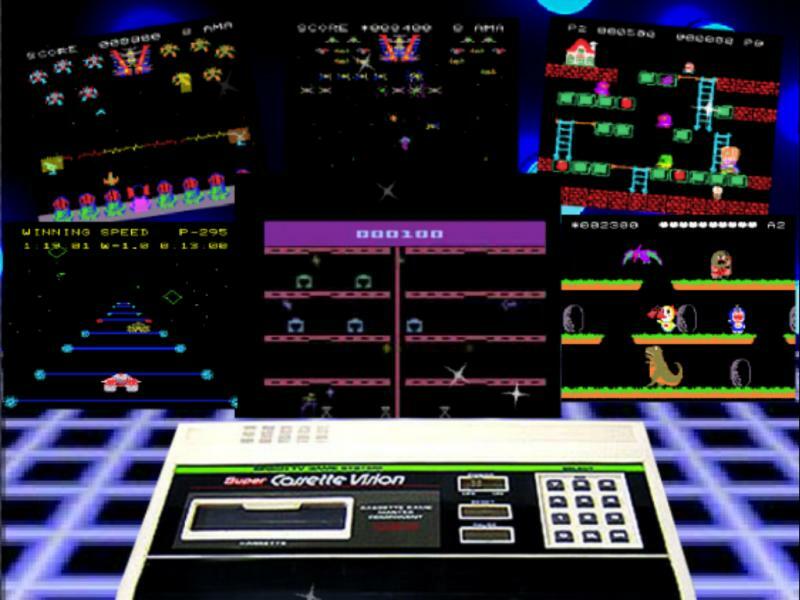 Buttons on the console itself allow the player to change the background color, change the cursor to an eraser and change the "page" to a new image. The nine (or more) available cartridges came with a story book to use in conjunction with the Video Art console. I'm going to hook it up for my Video game party this weekend, along side Pong. It'll be fun to see which one of my firends wastes much time on this... thing. Does anyone have one of these? Thoughts? Memories? Head shakings? All things considered, it's a terrible product. I mean, I tried coloring with it and it's not as easy as the commercial makes it seem. It likes to stick on lines and diagonals, making it hard to draw with... sort of like Etch a scetch a suppose. Seriously. Why would anyone have wanted to pay 100 bucks for something that you could have done far better and more easily for a 50 cent coloring book and a similairly priced box of crayons? I guess it went into that 1980/90's catagory of "If it's electronic, it must be better!" I wonder if this thing had the electronic chops enough to actually play any real games. I'm guessing it didn't have much of a processor, if any, but there would be a fun project, if you were into such a thing. LJN Video Art homebrew! As an aside, does anyone have one of these and a scanner? I'd love to see what one of the story books or the manual looks like. Plus, it's always nice to archive stuff like this. Edited by Lendorien, Thu Dec 12, 2013 11:23 AM. That's the most 1980s-looking game console ever. It makes the XEGS and NES look like relics from the 19th century. Also, dig the throw on that joystick! It looks like you could send the ball grip to another zip code while leaving the base at home! It might just be a coincidence, but the look kinda reminds me of a computer toy by Yeno, "Prof Saitou". And that computer toy really feels like it was based on Epoch 's Super Cassette Vision (1984), which was sold by Yeno in France (and maybe Germany too). Tho, it might just be because it's a "low" res 8 or 16 color chip used in all those systems . But I wouldn't be surprised that after the SCV epic failure (the Famicom obliterated it) Epoch sold the "plaftorm" to anyone willing to have a "ready-to-use" video system. I feel bad my mom wasted money on this for me. This was while I still had a 2600 and no Nintendo yet somewhere around 1987 I guess...and I was getting tired of the 2600 with seeing all the Nintendo commercials. This was a dud and they should have returned everyone's money. Couldn't draw a damn thing. Maybe that's what they used to draw Spiderman's outfit. I hate that my 3 year old loves their Spiderman game on my Wii. I watch the commercial and wonder if it was originally supposed to have the paint fill option and other features, but was rushed out the door in an alpha or beta state.But the commercial still represented the product as it was supposed to be, and not how it actually was. Avgn actually reviewed this thing too. We can suppose that what people got was a "basic" version, and had the product sold well, LJN would have sold the "advanced" cartridge, along with other carts. Pretty much how "my first computer" toys of hte ea were sold with a Starting cartridge (or sometime, none) but usually came later with more advanced cartridges. Or hell, like the Speak'n'Spell did. Edited by CatPix, Sat Jun 16, 2018 8:34 PM. Vtech acquired Yeno sometime in the late 80's, so Yeno sold relabelled Vtech stuff until the Yeno brand was discontinued sometime in the early 90's.